Sri Lanka: What’s Going On? With two senior political figures claiming to be prime minister and parliament suspended, political tensions will remain high in Sri Lanka. In a surprise move, President Sirisena sacked his Prime Minister, Ranil Wickremesinghe, on 26 October and installed opposition figure Mahinda Rajapaksa in his place. Wickremesinghe refused to go, saying he could only be removed through a vote of no-confidence in the parliament, and stayed put in the Prime Minister’s official residence. 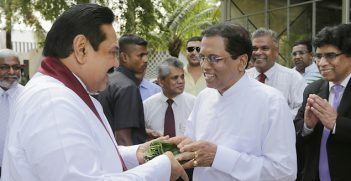 Rajapaksa began work regardless, appointing ministers and announcing decisions, with the result that Sri Lanka has two senior political figures claiming to be prime minister at the same time. Political tensions have risen and crowds have taken to the streets. Intricate personal and political relationships add to the complications. Rajapaksa had himself been president for 10 years until 2015, and Sirisena was a minister in his cabinet until Sirisena resigned to run against Rajapaksa in the presidential election of 2015. So if Rajapaksa is confirmed as prime minister (a big if), Sri Lanka will have a president who was once a minister in the cabinet of a president who is now prime minister. The legitimacy of the President’s action is, at the very least, dubious. Certainly the Speaker of the Parliament was in no doubt, calling the dismissal undemocratic and unconstitutional, a coup without guns. And the Attorney-General, the President’s legal adviser, gave less than full-hearted endorsement when he said it was inappropriate for him to comment. Instead of referring the matter immediately to Sri Lanka’s Parliament in order to decide which of the contenders – Wickremesinghe or Rajapaksa – could command a majority, the President instead suspended Parliament until 14 November. Commentators interpreted this as providing an extended opportunity for Rajapaksa to line up the numbers and convince waverers and defectors through various inducements such as cabinet posts and other government positions. The media in Sri Lanka has carried stories of horse-trading of various shades with substantial amounts of money on offer. After an AIIA VIC study tour of Sri Lanka in July 2016, the group came to the cautiously optimistic conclusion that the future for Sri Lanka was bright, with significant recent reforms and progress in a number of areas including the economy, constitutional reform and reconciliation. We did note that the country still faced many challenges to ensure hard-won gains were not reversed. What we did not pick as one of those challenges was political turbulence and a dramatic fracture between the two most senior figures in Sri Lanka’s government. But the split has been long in the making. President Sirisena and Ranil Wickremesinghe are two very different people: Sirisena the son of a rural Sinhalese rice-farmer, Wickremesinghe a self-assured and urbane member of the Colombo elite at ease in international company. The personality difference grew over time, and there was little effort from either side to bridge the gap and work as a leadership team. The disaffection between the two leaders was on public display in President Sirisena’s extraordinary address to the nation on October 30, which contained a free character assessment of his former prime minister. Sirisena described Wickremesinghe as belonging to a privileged class who did not understand the pulse of the people and who “conducted themselves as if shaping the future of the country was a fun game they played”. Wickremesinghe would, according to the President, “arrogantly and stubbornly avoid collective decisions and tend to take individual decisions”. Add to this character difference a very political calculation: Sirisena came to office promising to be a one-term president, but this year he has let it be known that he is considering a run for another term at the Presidential elections in 2020. To advance that ambition, he had to consider which leadership team and which combination of parties would be more likely to give him the support he needs for success. The most recent electoral test – local elections in February of this year – gave him the answer. Rajapaksa’s party received a substantial plurality of some 40% of the vote, while his own party languished on 12%. In switching prime ministers, Sirisena could well have reckoned that Rajapaksa’s continuing popularity with Sinhalese voters would outweigh frustration with his own government, plagued by rumours of disunity and by a view that the reforms that had been promised were too slow in bringing practical results. The first thing to keep an eye on will be the parliamentary session on Wednesday 14 November which will determine whether Wickremesinghe or Rajapaksa will be prime minister. If Wickremesinghe gets the nod, it is difficult to see how Sirisena could continue as president, given the publicly-expressed animosity between the two men. But who knows? Recent events show that we should expect the unexpected. One other scenario doing the rounds – just to make things even more byzantine – is for Rajapaksa to present an interim budget which is then voted down by the Parliament. The President would then dissolve Parliament and call a general election, which Rajapaksa is said to favour as a way of winning a convincing victory, thus gaining a clear mandate and cloaking himself with legitimacy. Sri Lanka’s political culture: When President, Rajapaksa established himself as an authoritarian leader. There were allegations of journalists being intimidated, and human rights abused. Corruption was widely alleged to be a feature of some business and government dealings, with a New York Times investigation unearthing payments by a Chinese port-building company to support Rajapaksa’s presidential campaign in 2015. The progress of reconciliation following the country’s destructive civil war: the AIIA VIC study group heard in July 2016 that the situation in the north of the island was broadly moving in a positive direction and that people were becoming increasingly optimistic. Rajapaksa was Sri Lanka’s president when the war was brought to a brutal end in May 2009. The international community will look for reassurance that practical steps towards reconciliation will continue if he is confirmed as Prime Minister. International relations, particularly links with China and India: Rajapaksa took Sri Lanka’s traditionally friendly relations with China to a new level where China gained an unprecedented degree of influence in Colombo. The Hambantota port – in Rajapaksa’s home district – which has almost zero economic justification and has become a byword for mis-investment, was developed by a Chinese firm with Chinese financing and is now in the hands of Chinese state-owned companies. Rajapaksa has in more recent times been careful to build bridges to India, including by a personal visit in September. Restructuring and reinvigorating the economy, saddled with heavy debt repayments: Progress under the Sirisena/Wickremesinghe government was gradual. The AIIA VIC study tour noted a vibrancy in Colombo, but the 4.8% deficit target for 2018 indicates that there still is a fair distance to go. Early signs of Rajapaksa’s approach are hardly encouraging: he has announced a number of measures with populist appeal, such as tax breaks and subsidies on fuel, which risk fracturing the fiscal discipline of the previous government. There is a strand of thought that Rajapaksa has had time to reflect on his time as President and will realise that progress on these issues will be indispensable if Sri Lanka’s Government is to succeed in managing the challenges the country faces. If he is indeed confirmed as prime minister, the international community and Sri Lanka’s friends can only hope that it is true that leopards do change their spots. David Ritchie was a senior officer of the Department of Foreign Affairs and Trade who served as High Commissioner in Sri Lanka from 1996-99. He led an AIIA VIC study tour to Sri Lanka in July 2016. The constitutional crisis roiling in Sri Lankan politics continues, with a possible turning-point coming up in early December. 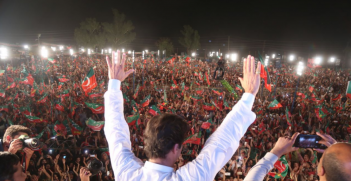 Can Pakistan’s New Prime Minister Deliver His Promises? Imran Khan is now poised to become Pakistan’s new prime minister. But he’s likely to find running a country much more difficult than winning the vote with his party still short of a majority. 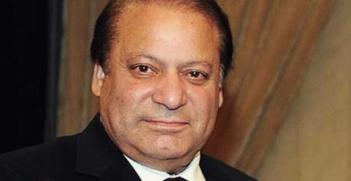 Pakistan’s Prime Minister Nawaz Sharif has been ousted from office for the third time, but his forced departure raises new questions about the strength of Pakistani democracy.